Cary Healthcare Associates has been my Medical Home for over 11 years. 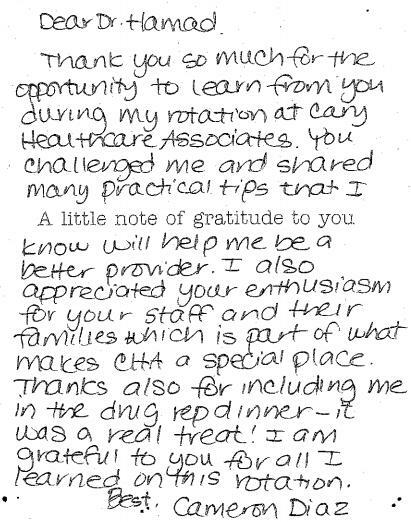 I have received top notch service from the front desk to the clinical staff, and the providers. Dr. Mazen Hamad, Courtney Queen, FNP, Candace Chitsaz, FNP, and Dr. Jennifer Schmidt have taken excellent care of me. Their wide range of knowledge and skills have kept me from going to specialist offices and have given me the "One Stop Shop" experience. I would highly recommend this office. Contrary to others experiences, I have been a patient of Cary Healthcare for 3 years. Cary Healthcare has some of the best providers in the Triangle. (which I have seen many over the years.). I have seen all providers at this practice (all which who are wonderful! ), however, Courtney Queen has been my main practitioner. She is the utmost caring, personable and professional provider. She has been able to diagnose things that MD doctors have missed. All of the time each of these providers spend with you, you will not find elsewhere. They TRULY make you feel cared for, a part of their "family". Lastly, the staff from the front desk to the nurses to all others "behind the scenes" have been a pleasure getting to know and dealing with for various things. I highly suggest this practice. 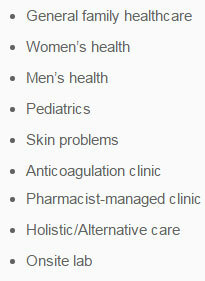 Cary Healthcare associates is your one stop shop from primary care to skincare & homeopathic medicine. Everyone is always very kind, professional & knowledgeable. I've seen Candace the Nurse practitioner & Dr. Jennifer Schmidt they are both excellent and very caring practitioners. I have also seen Tina the RN for facials ahhhmazing!!!! She also does Eyelashes, eyebrows & Laser skin tightening for face & neck & anywhere else...Tina also does laser hair removal & no it didn't hurt at all!! & prices are awesome!! Tina goes above & beyond for her clients. I cannot say enough good things about Cary Healthcare Oh & the front desk ladies are so nice especially Lauren she's on it! & not to mention I never wait long to be seen! !